Bialar Crais was born in a Sebacean farming community, but while still a boy, he and his younger brother Tauvo were wrestled from their family and conscripted against their will into the Peacekeeper military. If you asked Crais what his crusade was, he'd tell you he was bent on avenging the brutal murder of his brother. He'd say that loudly, with gusto and insistence. But Crais knows, in his heart, that Crichton didn't murder his brother on purpose, but having no one to blame is terrifying to Crais. 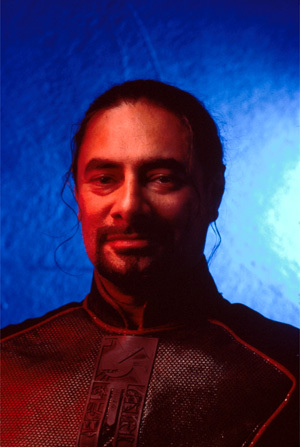 He needs a scapegoat, and Crichton, coupled with the "contaminated Aeryn", fill that role perfectly. Crais' respect for the Peacekeeper mandates is unclear; at times, he's the flagbearer for military tradition; at other times, he's a renegade. Anything that could be construed as a challenge to his authority terrifies him; he despises Scorpius for almost the same reason he despises Crichton. Like Inspector Javert, Crais simply wants the universe to operate by his rules. And only Crais knows what his rules are. Because of this, the motives behind his decision to defect from the Peacekeeper military, and his decision to steal Talyn, remain to be fully revealed.